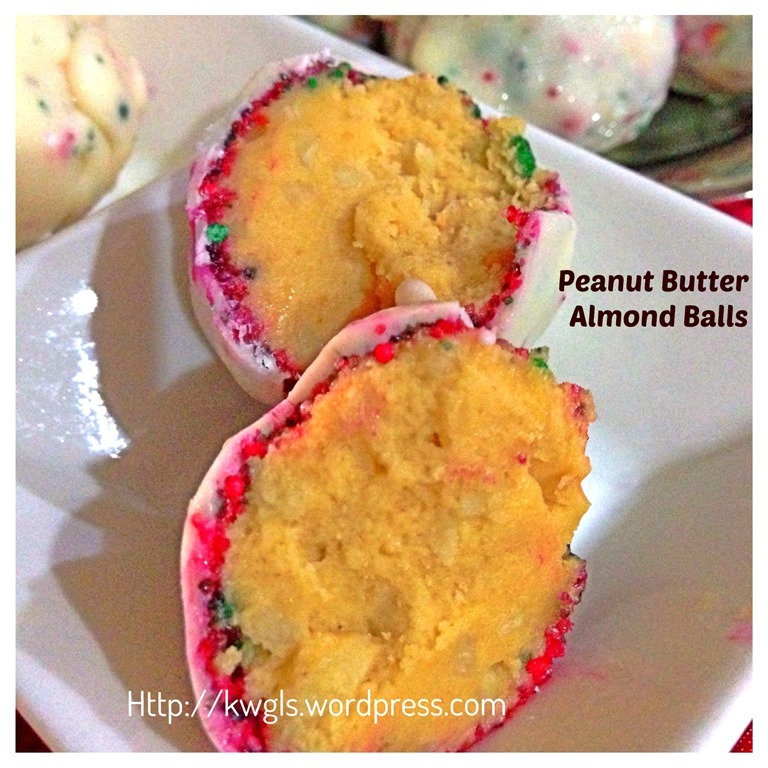 I am visiting and pinning recipes that are of interest to me especially from my blogger peers. 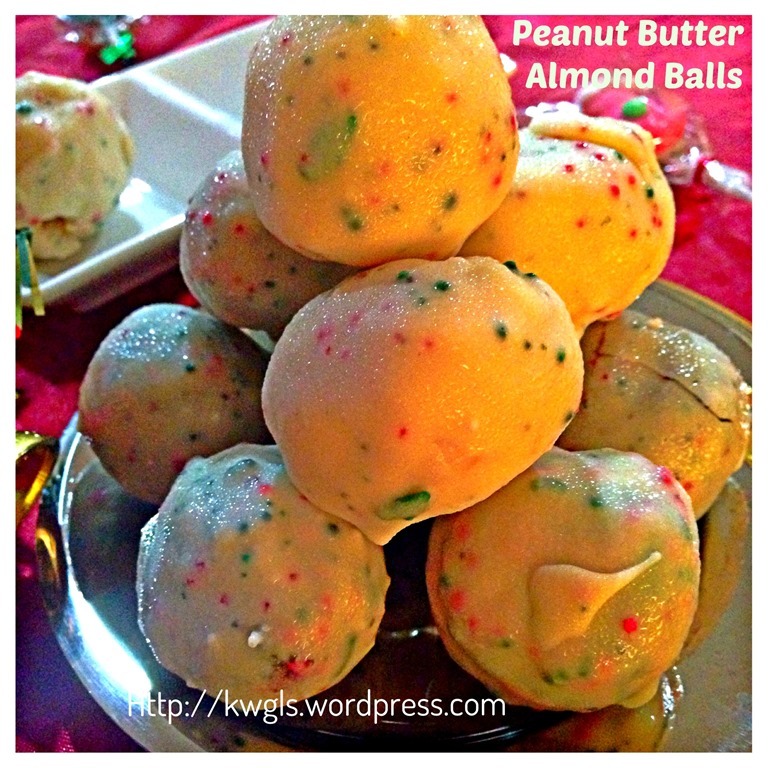 When I am pinning this peanut butter snowballs from In the Kitchen With Jenny, I like the look of her peanut butter snow balls. 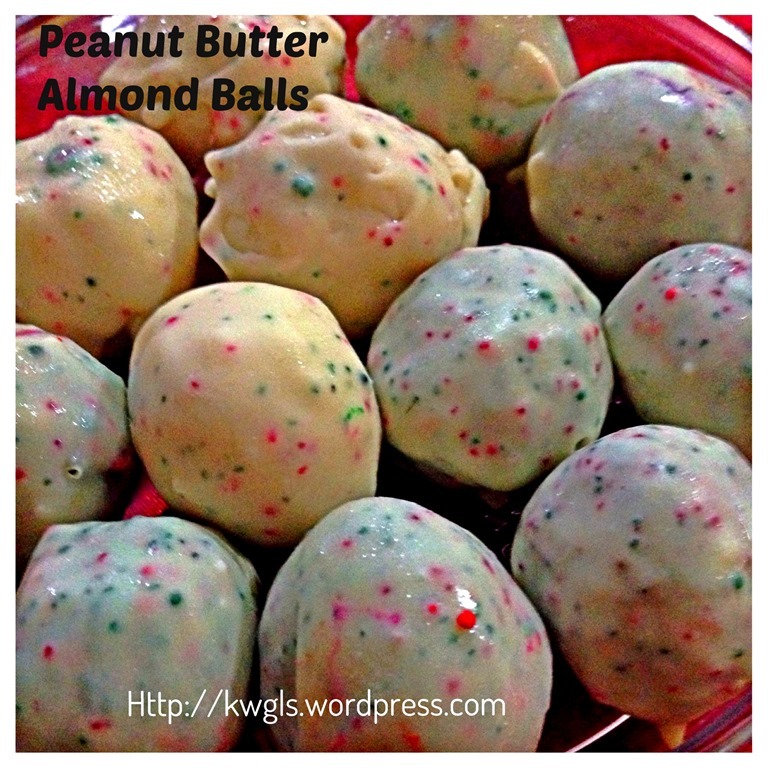 A cute small almond bark coated ball with peanut butter in it. 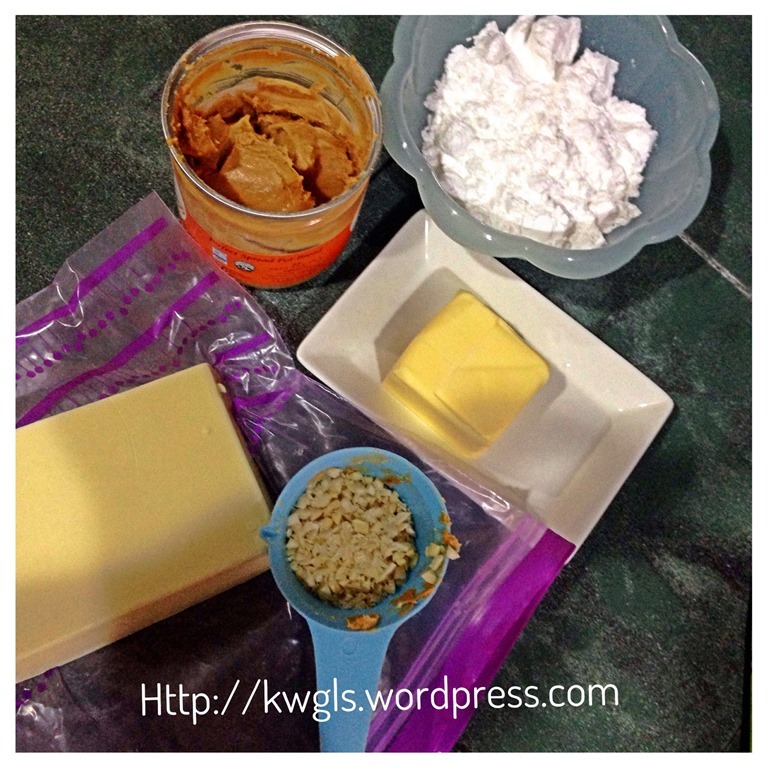 After reading her blog about the preparation process, I was very tempted to do it because it looked simple to prepare and since I have all the ingredients with me except almond bark. I thought, I told myself I want to try preparing it..
After taking the first bite, I am so guilty as it is really a sinful indulgence and addictive. It is creamy and I popped 3 balls into my mouth in the process of preparing it. It is just delicious. It is creamy with some small almonds almond chunks to bite on. I really love it. After preparing it, I have decided not to keep in my house and gave away as gifts. 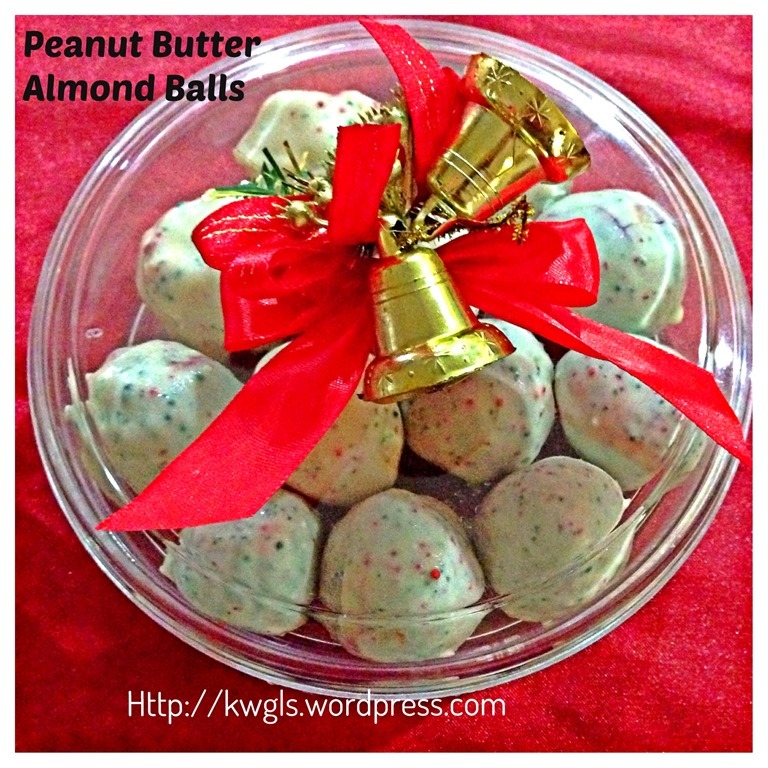 I just can’t afford to have these delicious peanut butter balls sitting in my house knowing my love for sweet desserts. Since I do not have almond barks. 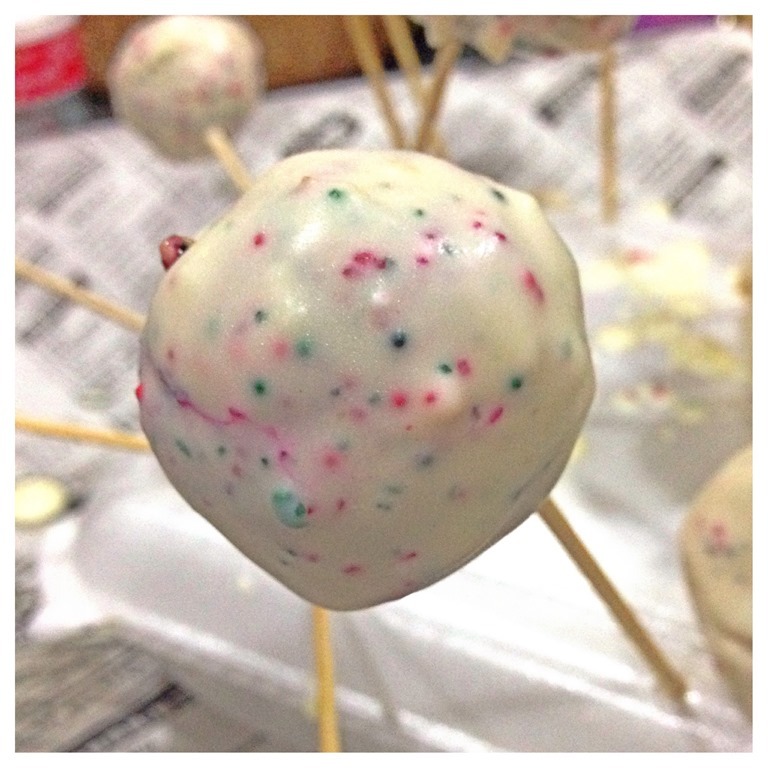 I have modified the recipe with coating of white chocolate to retain the shape. As white chocolate is rather sweet, therefore, i have decided to reduce the sugar content. In addition, I have added some almond chunks to the peanut butters. I hope you will like my modified recipe and you can always refer to Jenny’s original recipe as stated below. 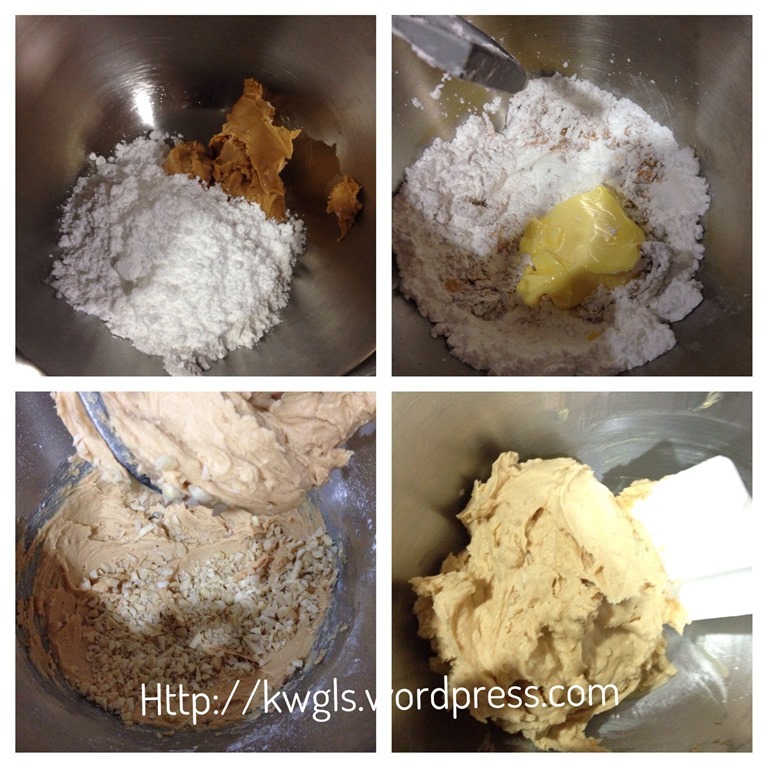 Cream the peanut butter with icing sugar until smooth. Add soften butter, cream until smooth followed by chopped almonds. Stir until well mixed. 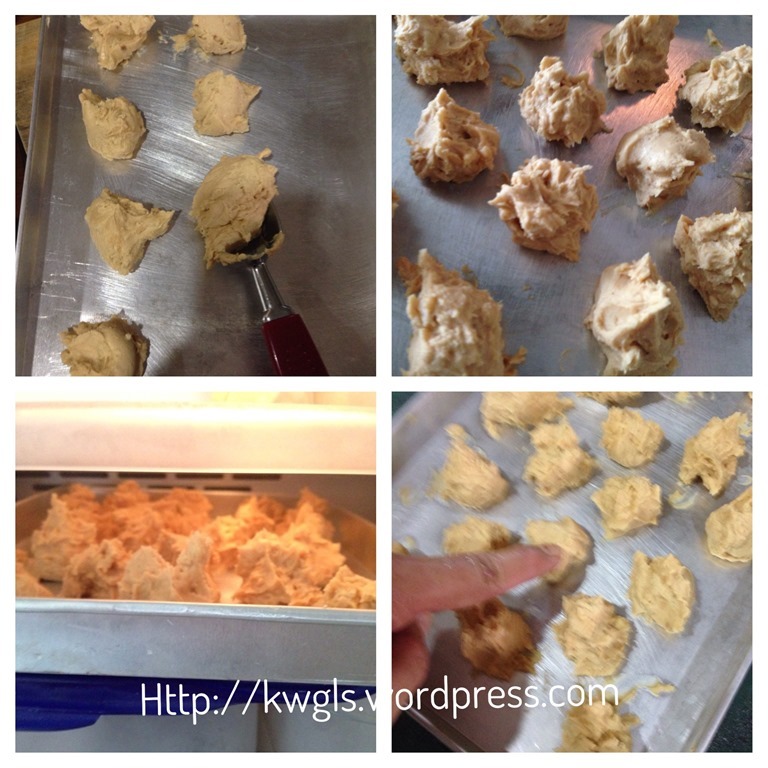 Use an ice cream scoop to scoop up the dough into a plate or tin. In Singapore’s weather, it may be a bit runny but that is ok. Chill it in the fridge for 5-10 minutes before rolling the balls into an even shape. 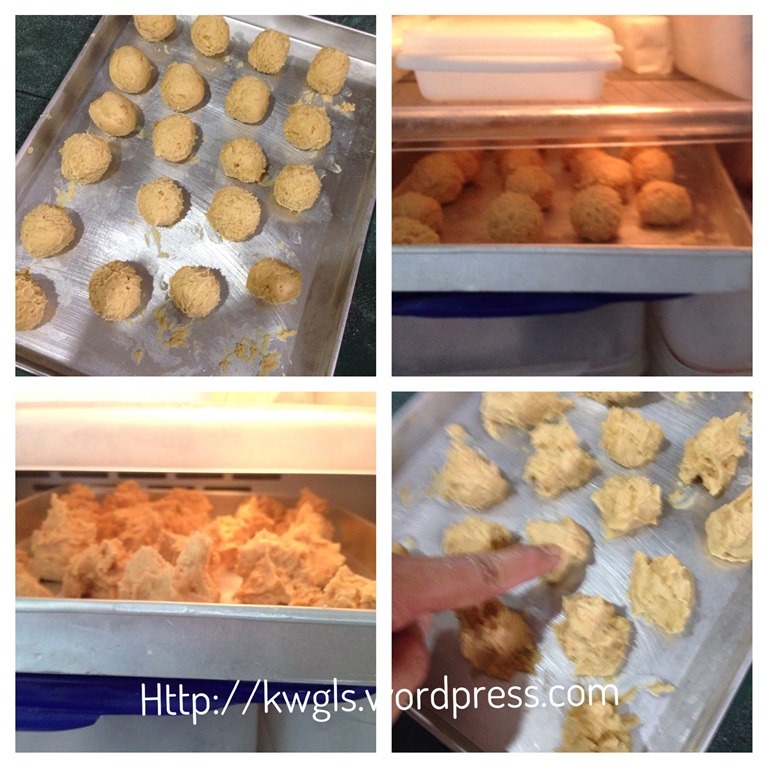 Take the ball out of the fridge and use your hand to roll into a ball shape and chill again for 10-15 minutes. A bit lightly harder is okay for your next step of rolling with sugar sprinkles. Take the balls out from the refrigerator. In a bowl, have some Christmas sprinkle. 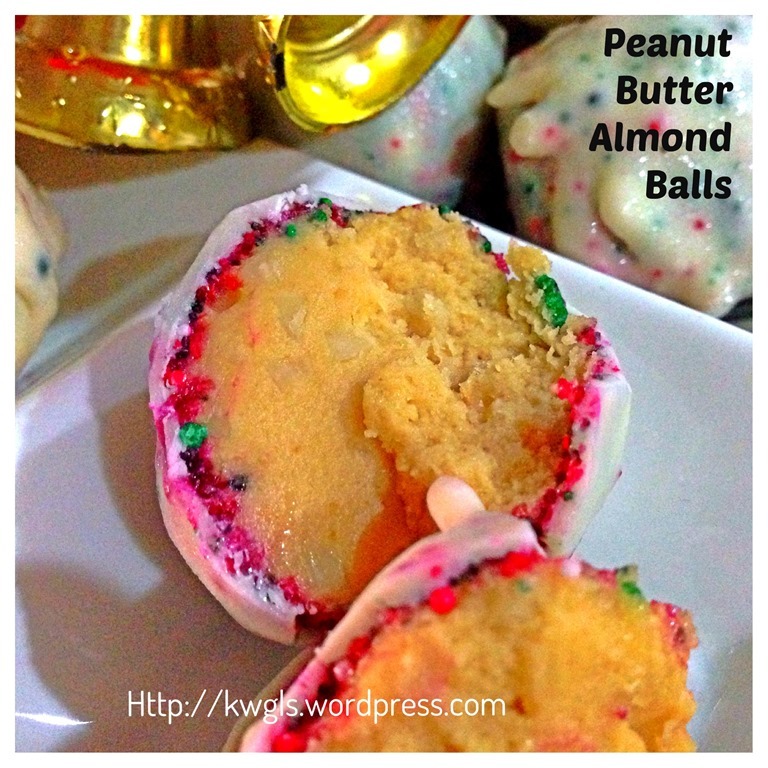 Roll the peanut balls in the sprinkles as evenly as possible. After rolling put back to the refrigerator until the next step is ready. Meanwhile, melt the chocolate in a microwavable bowls for 1 minute. Stir until smooth. 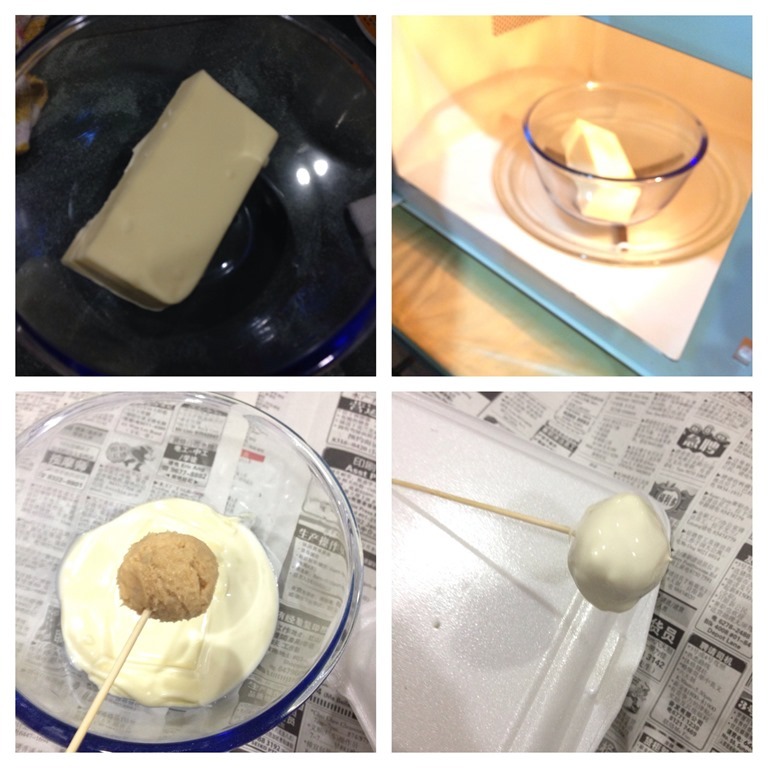 Use a tooth pick or something sharp to stick into the ball, dip the ball into the white chocolates. If possible, place the dip balls on top of Styrofoam boxes and let it drip naturally. (in this illustration, I have use some balls that did not have sugar sprinkles. 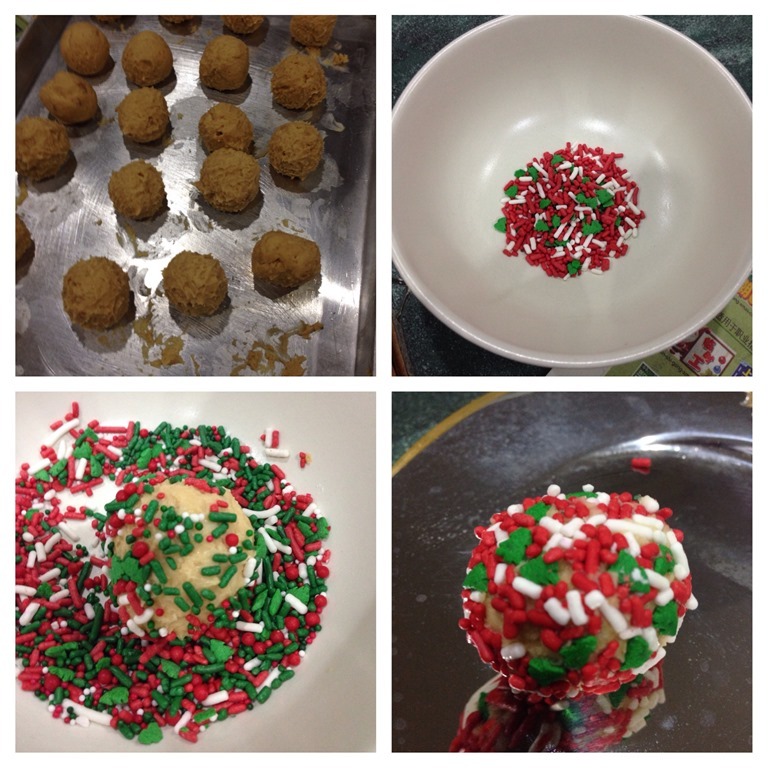 However, all subsequent balls were dipped with sugar sprinkled balls. Wait for the chocolates to harden before store in a container. Prefer chill before serving. 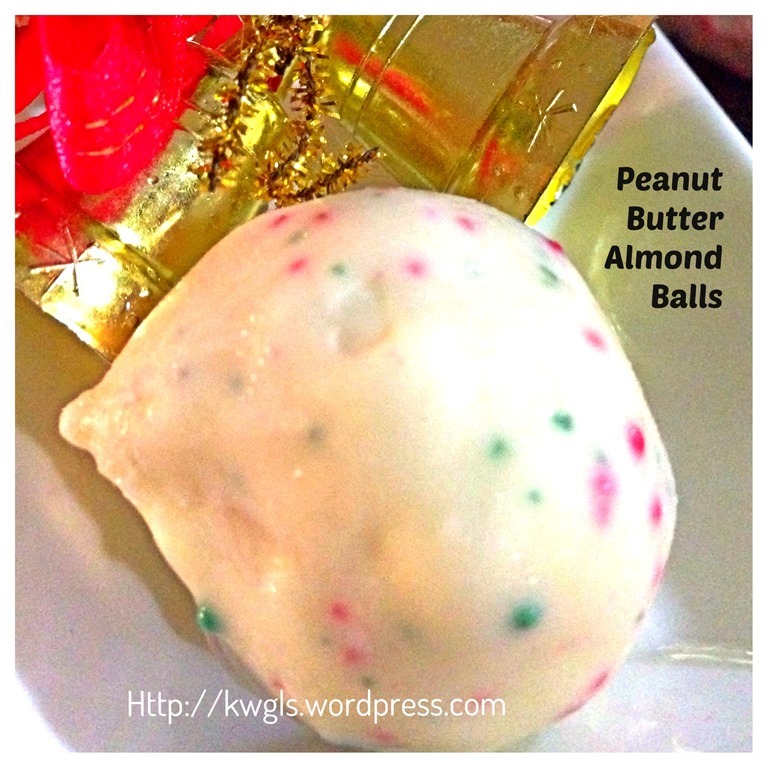 This is an extremely addictive sweet if you are a fan of peanut butter. 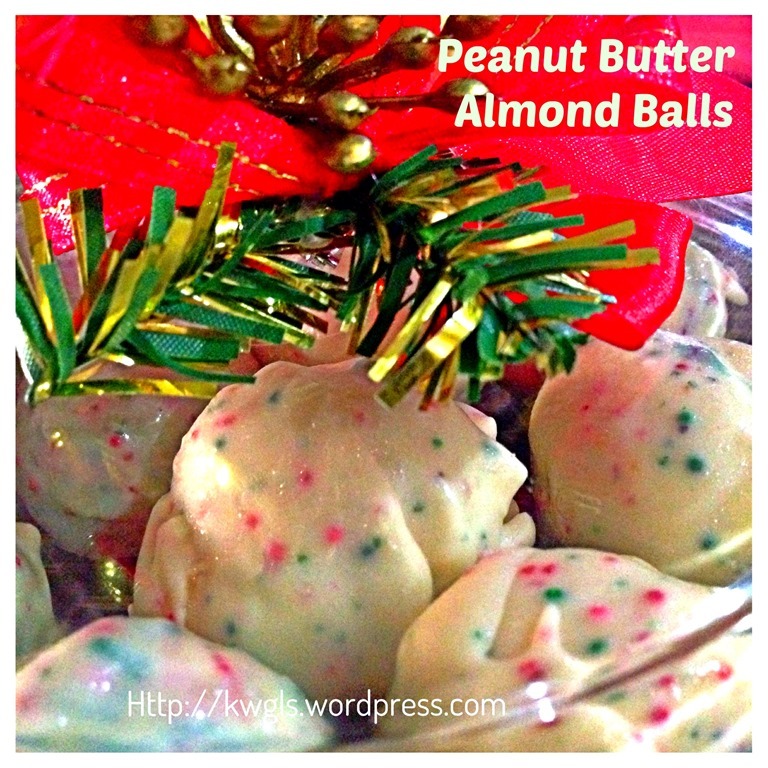 My wife told me the sugar sprinkles in the balls are funs to bite together with the almonds and creamy peanut butters. This whole batch that I prepared were packed and given out as Christmas gifts. For Asians, besides normal cookies and pastries, we seldom take the courage to prepare sweets from Western countries due to the limitation of ingredients. This, I would say is a recommended Christmas gift that you can consider preparing yourself.. Do try and tell me if you are agreeable with me. I want to take this opportunity to thank Jenny Unternahrer for this delicious sweets of her. 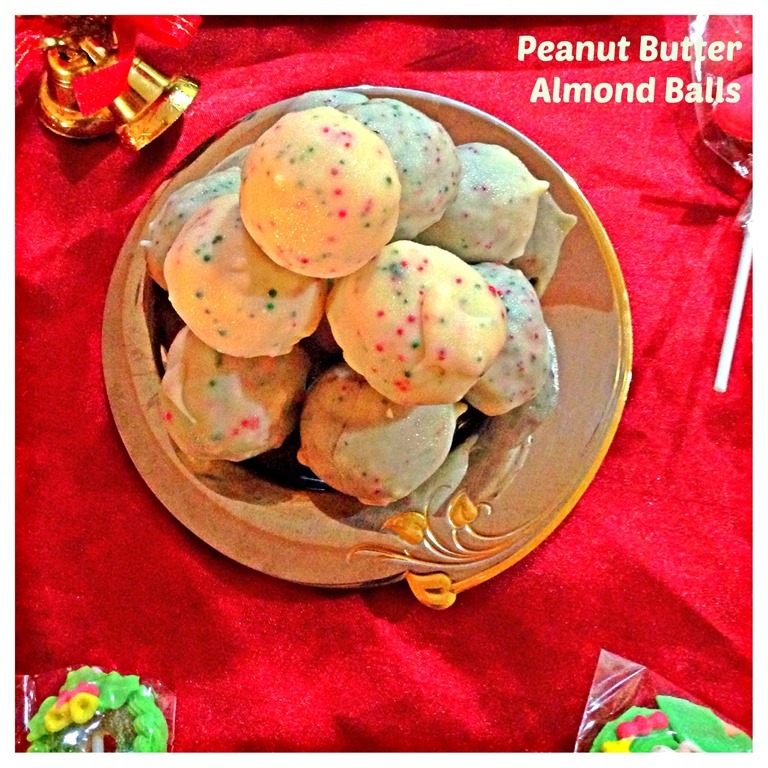 You may also want to visit her original version of peanut butter snowballs coated with almond barks here. Hope you like the post today. Cheers and have a nice day. 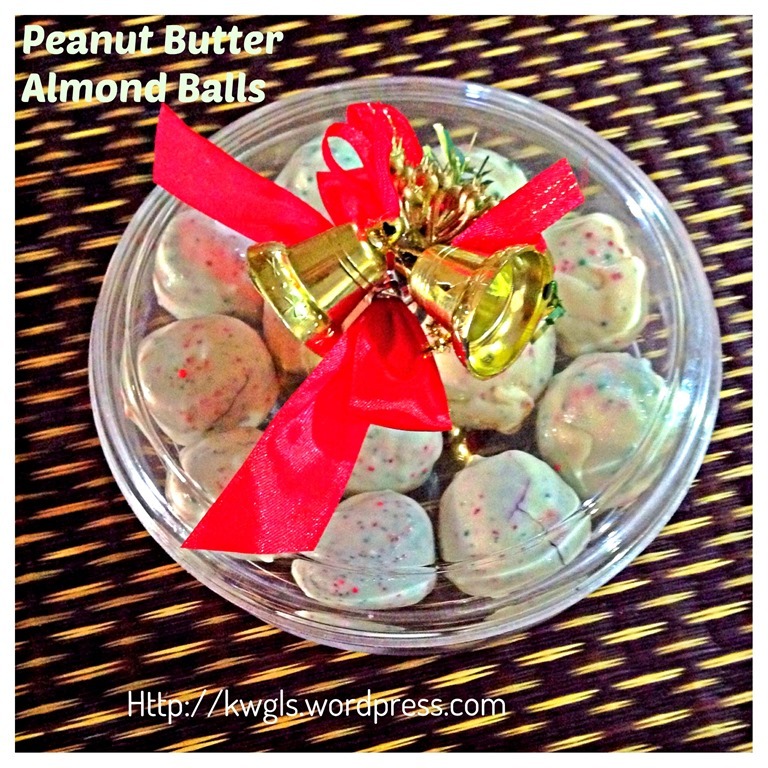 This entry was posted in Christmas 2013, Food Preparation Series, Snacks and tagged 8, christmas 2013, GUAI SHU SHU, Guaishushu, kenneth goh, peanut butter almond balls, peanut butter balls, postaday. Bookmark the permalink. Thanks Ken for trying my recipe and putting a spin on it. Love how you added the little stained glass colors!!! 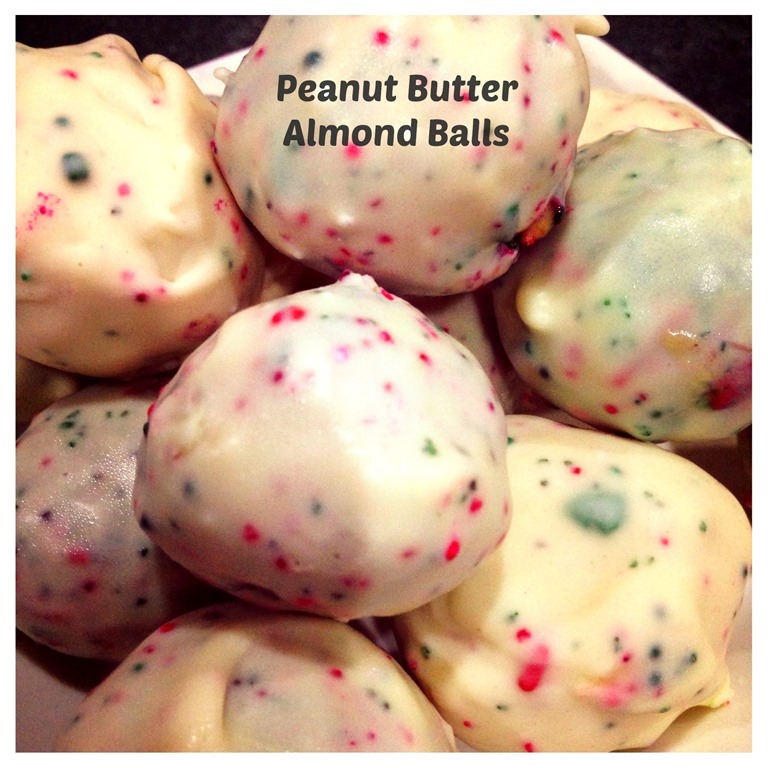 These sound really good, I bet the white chocolate was a wonderful addition to the recipe! Thanks for sharing at the DBB! These sound delicious. We are big fans of peanut butter! Oooo nice, looks like colorful snow balls! These look fantastic! 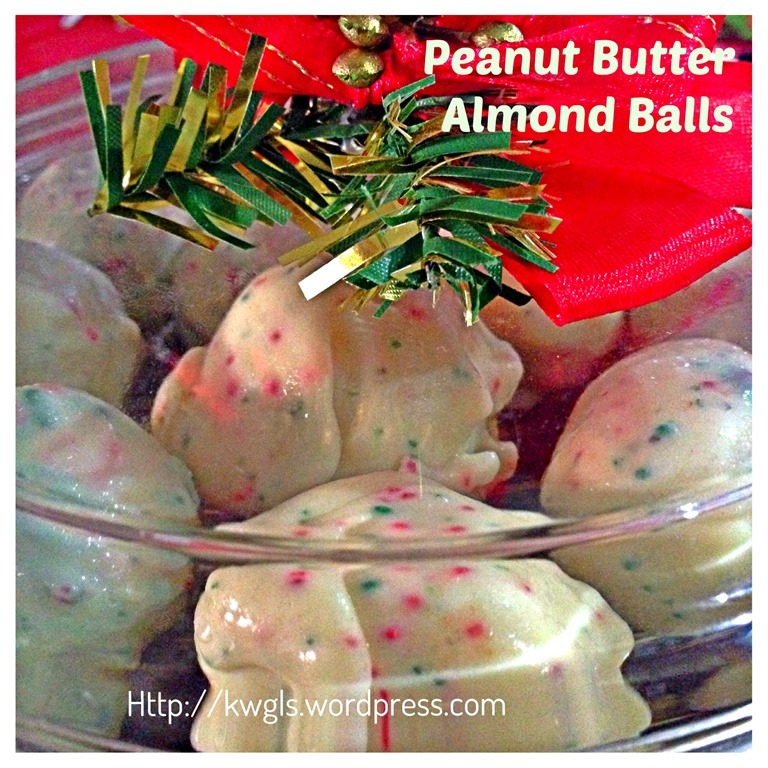 They really would be perfect for a holiday party!